Prime Minister Justin Trudeau flexes his media-savvy muscles as he appears in a new Marvel comic. Warning: This story contains spoilers for Civil War II: Choosing Sides. Prime Minister Justin Trudeau wades into the latest comic book crisis in the new issue of the Marvel's Civil War II: Choosing Sides. 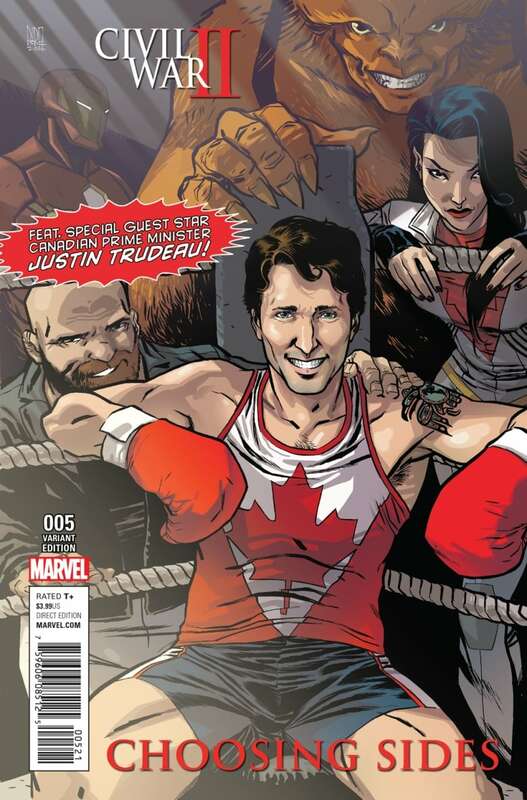 The variant cover features the smiling PM sitting in the boxing ring with members of the Canadian superhero team Alpha Flight behind him. A variant cover is a special cover that will only be used for a limited number of issues of the comic. 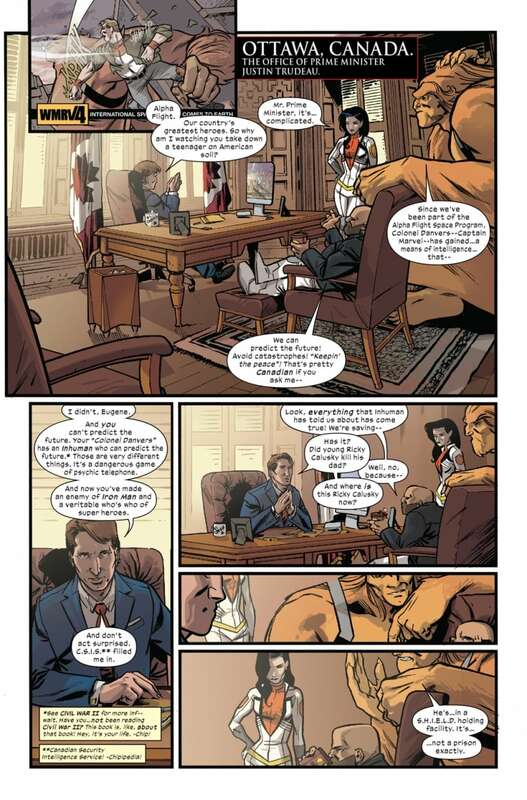 In the comic, Alpha Flight members Sasquatch, Puck and Aurora are called to the prime minister's office after they're involved in a mission on American soil. Alpha Flight find themselves caught in a larger issue involving a character named Ulysses who has the power to the predict the future. Some heroes want to act on the information to prevent future calamities; others, such as Iron Man, feel they are overstepping their bounds. Written by Toronto's Chip Zdarsky and drawn by Toronto's Ramon K. Perez, Choosing Sides #5 is littered with Canadiana, with the PM referencing intelligence agency CSIS and cracking jokes about the Leafs. 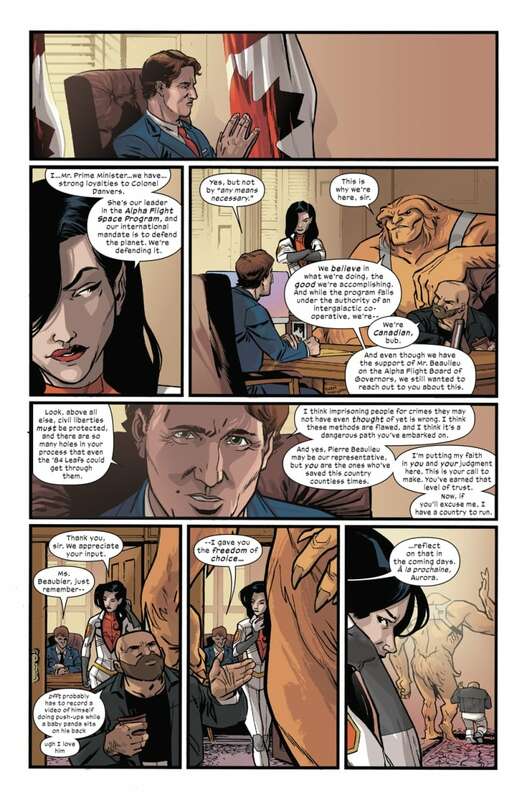 Not only does Perez capture Trudeau's photogenic qualities, but Zdarsky provides more than a political caricature. 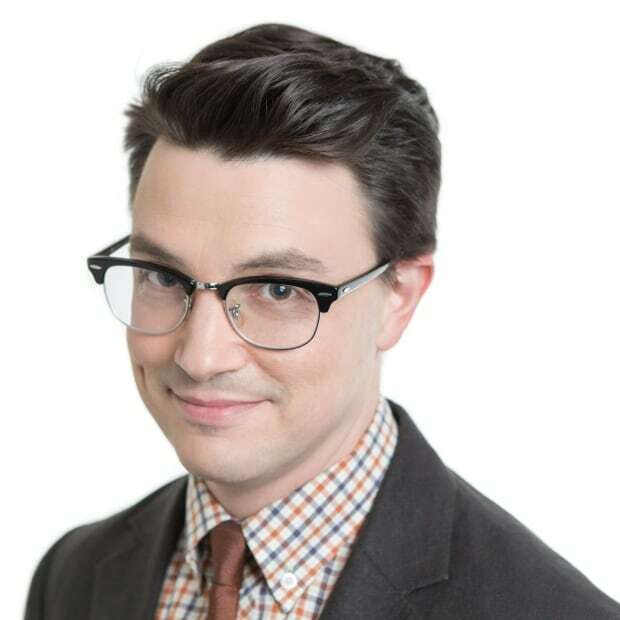 As the team members struggle with whether to launch what is essentially a super-powered first strike, Trudeau, in the tradition of Canadian peacekeeping, searches for common ground. Of course that doesn't mean Marvel's resident court jester Zdarsky is above having some fun with the meme-worthy PM. There are jabs about his viral fame and even the grizzled Puck appears defenceless against his charms. 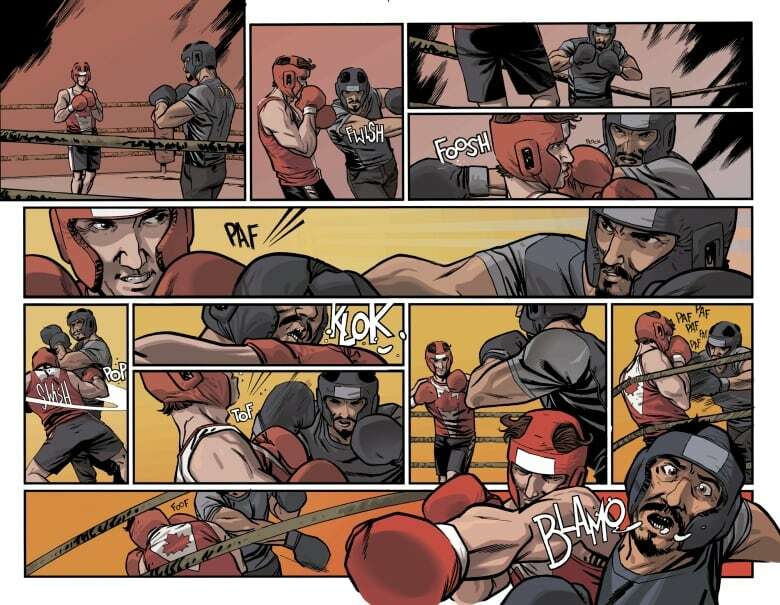 But the true payoff arrives as Trudeau's sparring partner for his weekly boxing sessions is revealed, none other than Tony Stark, aka Iron Man. The two trade punches and quips, Trudeau following up every wallop with an apology. Comic fans will recall this isn't Alpha Flight's first run-in with a Trudeau. Justin Trudeau's father, the late prime minister Pierre Trudeau also appeared in a number of Marvel comics and was instrumental in the creation of the super team, who first appeared in a 1979 issue of The Uncanny X-Men. While the elder Trudeau never got to sock it to an Avenger, the new comic suggests his son's powers of media magnetism show no signs of fading.